Looking for an off-road rig with all the comforts? 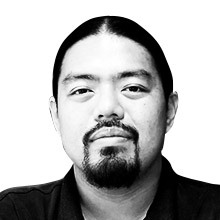 Suzuki isn’t the biggest or most successful automaker in the world, but in certain niches, it has an enviable reputation and presence. While its sales in recent decades have been buoyed by the strong demand for microcars in India (where its bread-and-butter Alto out-sells entire brands), Suzuki is highly regarded for making incredibly capable off-roaders. The Grand Vitara may look like any other cross-over, but what it has under the sheet metal makes it radically different from your typical CR-V wannabe. 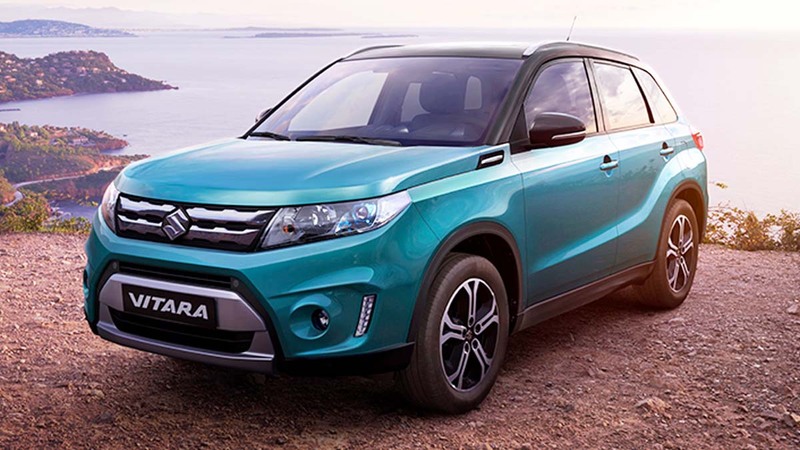 Where the previous Vitara had been conservatively styled, this generation introduced a rounder, more aerodynamic look that’s not as attractive. Boxy flares front and rear give it much-needed muscle, and a chrome strip over the grille keeps it from looking like an Escape knockoff. The XL7 has a slightly different front-end treatment that’s not quite as nice. Deep-dish, five-lug alloys are the only indication that this crossover isn’t your typical front-wheel-drive poseur. The inside isn’t much to write home about. 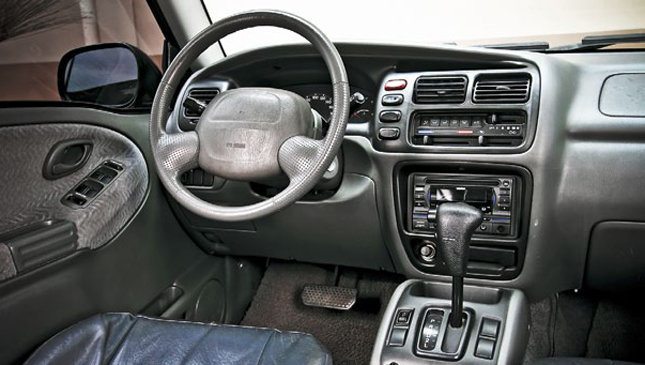 Early Grand Vitaras had the typical vinyl interior of old Japanese cars, and a two-spoke steering wheel from the Chevrolet parts bin (the model was sold as the Chevy Tracker in the US). Later models got a neater-looking dashboard, more storage space, higher-mount-ed A/C vents, and a sporty three-spoke Suzuki tiller. Interior space is cramped compared to most contemporaries. The XL7 gives much more legroom and a third row, but it’s still a bit narrow for three in the middle row. The 2.5-liter V6, codeveloped with Mazda, features dual overhead cams, four valves per cylinder, and a timing chain for longevity. While smooth, it doesn’t feel very powerful, especially with the four-speed automatic. Fuel economy hovers around 5-7km/L in the city, thanks to the heavy body and the four-wheel-drive system. The 2.0-liter mill isn’t much less powerful, and gets better economy. The 2.7-liter V6 in the XL7, on the other hand, boasts 185hp, but feels strained by the extra weight of the long-wheelbase body. Brand-new, the Grand Vitara’s ride was a tad lumpier than those of other crossovers, but it was decent enough for such a capable off-roader. Our unit here has seen better days, and feels a bit floppy. The old-school four-speed automatic isn’t the most responsive, but you don’t really want tippy response off the road. 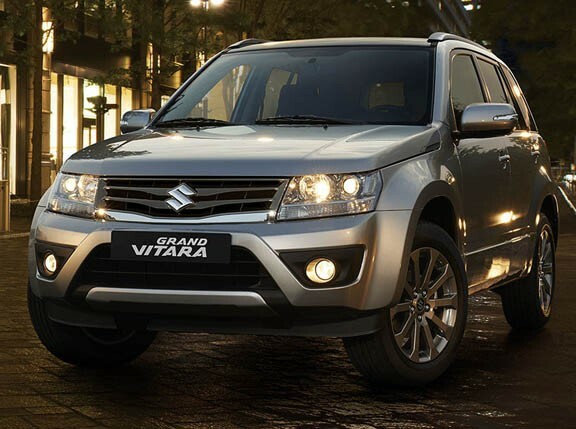 On rough terrain, the Grand Vitara is impressive compared to its soft-roader competitors. The front MacPherson struts have a lot of travel, allowing for good articulation. All the vulnerable guts are tucked in between the frame-rails, unlike in the succeeding model. 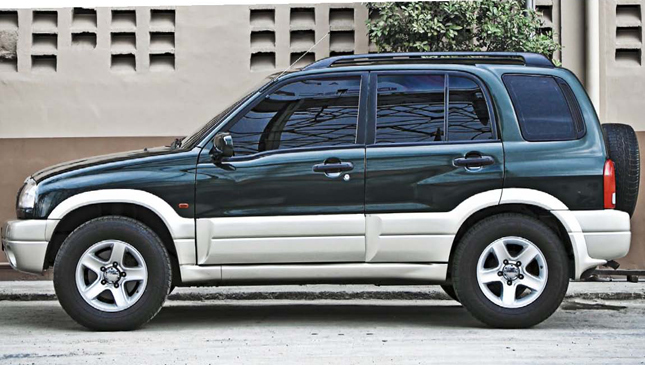 The Grand Vitara is a rarity in this market—an SUV posing as a crossover rather than the other way around. Sadly, the rise of the diesel utes over the past decade has rendered the formula obsolete. That said, the Kia Sportage of the time offers a similar package for less money, but it’s less capable on unpaved environs in stock form. While the smaller Jimny is a far more rugged off-roader, the lack of love for the Grand Vitara makes it much cheaper secondhand. It is a grand bargain for those looking for an off-road rig with all the comforts of a modern SUV. The Escudo/Vitara is perhaps best known as the mountain-conquering race car of Monster Tajima, who’s won the Pike’s Peak International Hill Climb more times than we can count and was the first man to complete the course in under 10 minutes. His 900hp tube-frame race cars, however, bear little relation to the road-going Vitara, aside from the fake grille and headlights plastered on the front of the car. 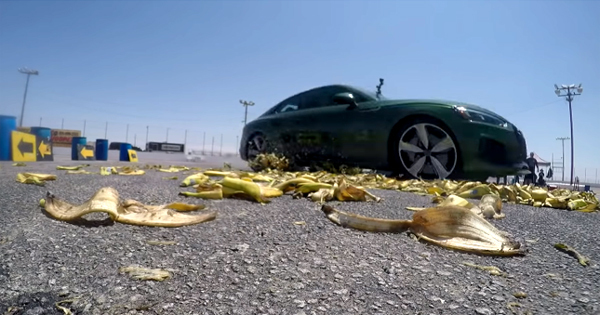 Best of YouTube: Can banana peels make an Audi spin out?